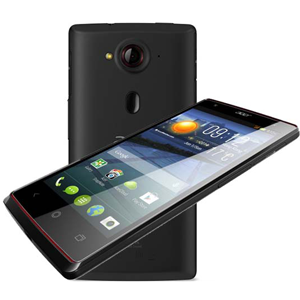 The Acer Liquid E3, also known as the E3 Duo and E380, is a 4.7" phone with a 720p display released in April of 2014. It comes in black but has red accents on the front and around the camera on the rear. It's powered by a Mediatek MT6589 quad-core 1.2GHz CPU with 1GB of RAM and 4GB of ROM with microSD expansion up to 32GB. Unique features include DTS Studio Sound, a 13MP camera on the back, and a front-facing camera with a flash that can be launched even with the screen is off. Here you can discuss the Acer Liquid E3 and get answers to your questions, learn how to root, and find custom software.